Over the Peak and Through the Pines: Electrolytes! As an runner that has experienced the very lowest of the lows of electrolyte deficit, and seen the immense difference with proper electrolyte balances, I feel as though I have some experience I can impart on the matter. Electrolytes are an integral part of the fueling triangle (water, calories, and electrolytes). Generally speaking, electrolytes maintain oil (blood) pressure in your engine (body), and aid in kidney functions (oil change). Think of a muscle in an mass balance equation: muscles contract and extend producing work and lactic acid (output) while requiring (input) calories, oxygen, and convection to cool tissue and remove lactic acid. Fresh blood is pumped into a muscle to deliver oxygen and then pumped our removing blood loaded with lactic acid and other waste products. Kidneys process this waste blood using water and electrolytes in the system to remove waste and discharge it in the form of urine. We all know water is exceptionally important in this system to allow for perspiration and healthy cellular functions around the body. However, water alone can also be lethal. When the body runs out of electrolytes, water dilutes the blood causing blood pressure to drop (hyponeutrimia). Think of when a car engine loses oil pressure. How does lubrication occur if oil cannot be forced around the pistons? The engine quickly locks up and stalls. 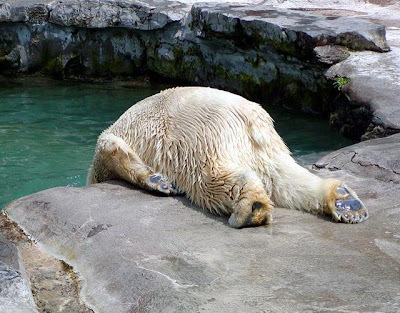 In the body, lactic acid is still produced, but lowered blood pressure keeps the body from being able to remove that lactic acid from muscles and deliver calories and oxygen causing one to “hit the wall”. The modern marathon is 26.2 miles partly because of the fact that most people’s standard electrolyte balance runs low starting at mile 16 (depending on exertion and weather), and 26.2 miles was the limit of minimally supported running. Generally speaking, there are four main minerals lost: Sodium, Potassium, Magnesium, and Calcium. The maker of SaltStick, (who does provide me with product) has derived the product on the basis of measured concentrations of electrolytes in endurance athletes sweat. The product is the gold standard on the market, most accurately matching electrolyte requirements for extended physical activity. However, different products work for different people, and I always encourage personal experimentation to find what works best for you. Running the 155 Mile Ragnar Relay, I encountered strong electrolyte defeceit at mile 85. I was light headed, weak, and had little to no appetite. Once I got my hands on SaltStick, I regained composure very well and took off at 7:30/mile pace. The difference was staggering, but limited by the fact that I had already severely burned off many muscle fibers by not taking electrolytes soon enough. 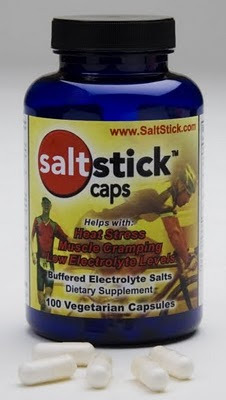 SaltStick is the long haul complete electrolyte replacement. However, there are other options that were developed on different research that produce other results. 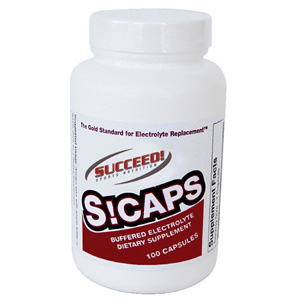 -S-Caps are mainly sodium and potassium, and require other sources for Magnesium and Calcium which contribute to nerve transmission, ATP (energy) production, and muscle relaxation. 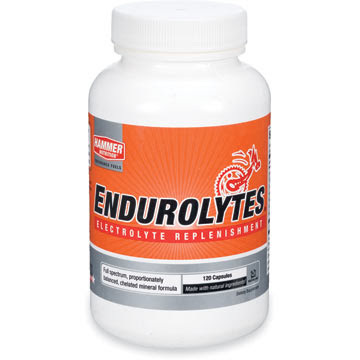 -Endurolytes have the full spectrum of Sodium, Chloride, Calculum, Magnesium, and Potassium, but lack the proper ratios to provide electrolyte balance creating greater demand on the kidneys to process the excess electrolytes. Also, the serving size of sodium in their capsules is so small, that a runner may need to take as much as 6-10 per hour (as stated in their published guide to nutrition). Endurolytes also have 330% of your daily Vitamin B-6 which is a natural metabolism (energy) booster, neurotransmitter producer, and a mood booster . However excessive consumption of B-6 has been proven to cause nerve damage in arms, legs, hands, and feet. In this respect, I don’t recommend such a high dosage for sustained competition. -Gatorade. I didn't want to have to even explain this one, but gatorade is essentially sugar and a sprinkling of electrolytes. G2 is diluted without diluting electrolytes, but still lacks magnesium and calcium. 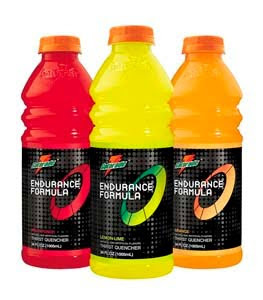 Gatorade endurance has put in the key 4 electrolytes, but it is still lower amounts than salt stick and you have to drink all that sugar to get to them. Diluting gatorade (though much more palatable) dilutes these electrolytes and makes it a loosing battle as you dilute your system and lower blood pressure. Adding salt is not an acceptable substitute as the excessive amounts of chloride can cause excessive stress on the kidney. -"smart"water, Trader Joe's electrolyte water, 365 electrolyte water, etc. etc. Once again, a really dumb product from almost every angle. The Electrolyte content is so small it doesn't show up on the nutrition info (once again, diluting an athlete's body). 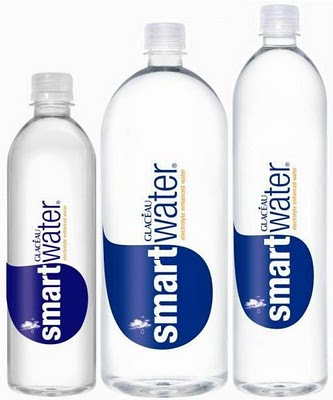 "Smart" water is made by distilling water to remove minerals and impurities, and then adding minerals back in in a highly inefficient process that wastes energy all in hopes of making a cleaner water (when was the last time someone got sick from bottled water?). Bottled water wastes large amounts of oil and energy in transportation even if you do recycle the bottle (vs. a reusable bottle). I don't think there's a more ironic product on the market. 1 at 90 minutes and 2-2.5 hours with 10 oz of water. 1 taken 20 minutes after a race or workout, and another one if necessary an hour later with 40oz of water. This helps to pump up blood pressure to aid in transportation of protein and other nutrients to repair muscles and flush out remaining lactic acids. Again experiment with this product. Plenty of water is necessary to aid smooth absorption. If you can’t run 5:30 pace and absorb electrolytes, consider opening the capsules and putting them in bottles or using a half-dosage to make electrolyte replacement more gradual. I hope this helps any curious endurance athletes out there. Top to Top is now carrying the 30 capsule and 100 capsule bottles at $10.95 and $19.95. Thanks for the electrolyte tips. I just finished my first ultra yesterday (50 miles) and had a good race overall, but faced some pretty significant cramping issues during the last 10 miles. I was rolling just fine through 30 miles but could tell that my muscles wanted to start cramping up on me. Eventually around mile 41 I had to start walking for long periods of time because I would cramping up in the quads, hamstrings, and hip flexors every time I tried to run. At the time I thought that maybe I wasn't getting enough calories or fluids, but it never occurred to me that I needed electrolytes. And being a newbie I didn't even think to ask any of the aid station workers for ideas. I thought I had done a pretty good job with fluids (20+ oz of original gatorade/water an hour) and calories (Gu every 45 minutes) but didn't even think to research electrolyte replenishment. To be honest, I thought that I would be getting enough sodium through the Gu's and gatorade, obviously another rookie mistake. Although it only got up to 70 degrees during the race, the sun and temperature was hotter than I had been accustomed to running in this year so that created an additional need for electrolytes. I would think that I sweat more than the average person so that would also make a difference. Thankfully, during the race someone suggested that I eat some potatoes with salt. After eating some I was able to finish the race by alternating walking/jogging intervals. I was actually able to jog the final 3 miles to the finish. After the race someone told me about S Caps and I immediately thought about how much better I probably could have performed in the last 10 miles had I started early with some S Caps or Saltstick capsules. Instead of feeling discouraged after yesterday's finished I am already looking forward to my next ultra and am excited to add electrolytes to the menu! If you know of any other electrolyte research and articles I'd love to read more!